In May 2011 a Chevy Volt underwent extreme crash testing by the NHTSA, and three weeks later it caught fire while on a storage lot. In September 2011 the White House was notified of the fire, but it was not disclosed to the public until November 12, 2011 when Bloomberg News broke the news. This delay in public disclosure is the subject of a hearing next week before the House Oversight and Government Reform Committee. It was learned today that GM's CEO Dan Akerson will appear before the committee. 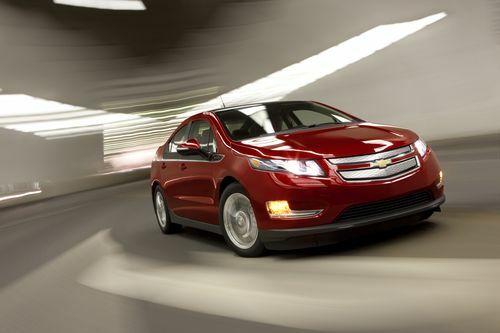 In December the committee sent a letter to National Highway Traffic Safety Administrator David Strickland suggesting that "In light of the Administrations clear promotion of electric vehicle technology, we are deeply troubled by the fact that the National Highway Traffic Safety Administration (NHTSA) has deliberately suppressed public knowledge of the safety risk posed by the Chevrolet Volt." The letter goes on to portray the fire issue as a "serious risk posed by these vehicles" and noted that the NHTSA "delayed disclosing the safety deficiencies in the Volt battery system." The letter was signed by Rep. Issa, Chairman of the House Oversight committee, Rep. Jordan, Chairman of the Subcommittee on Regulatory Affairs, and Rep. Mike Kelley who is not a member of the committee but has since proposed legislation to kill the electric vehicle tax credit. The NHTSA was of course aware of the safety risk, portrayed by the committee as a "serious risk". The letter names a timeline of events when the NHTSA could have disclosed the fire but did not: a) in July 2011 when the agency "finalized negotiations on fuel/economy regulation", b) on July 29, 2011 when President Obama announced the agreement on those regulations, c) and in October 2011 when Strickland testified before the Government Reform Committee. At no point did the NHTSA disclose the Chevy Volt fire until a Bloomberg News report in November 2011 and the subsequent disclosure by the NHTSA and GM. The letter goes on to demand answers from Strickland that center on two points: a) When did the NHTSA notify various government stakeholders such as the EPA and President Obama? b) Does Strickland stand by previous testimony that 'economy/emissions regulations will be "safety neutral"'? c) Why did the NHTSA delay public disclosure? d) Was the delay of disclosure due to political strategy? e) Was the delay of disclosure to help GM? In light of these demands we should not be surprised to learn the title of next weeks hearing is "Volt Vehicle Fire: What Did NHTSA Know And When Did They Know It?" A report last December in the Detroit Free Press quoted Transportation Secretary LaHood saying it was "absolutely not true" that regulators kept information from Congress on the battery fire, and that "The last thing we do at NHTSA is hide information but we want to make sure what we have is accurate." That report noted the NHTSA was gathering information and looking to see if the one fire was a one-time incident or an easily reproducible flaw. Last week the Detroit News obtained a letter sent by Strickland to three Republican Representatives disclosing briefings in September, on the June fire, from the NHTSA to the Transportation Dept and eventually President Obama. The NHTSA was not asked to keep any information secret; "No one from the Executive Office of the President requested or in any way suggested that NHTSA delay public release of information related to the Volt fire." The letter also noted the NHTSA rarely opens a formal investigation after just one incident, but that "Because the Volt incident involved a potential risk in newly emerging technology, NHTSA proceeded to open this investigation based only upon the results of limited test data and without waiting for data from real-world incidents." Yesterday it was disclosed that GM's CEO Dan Akerson would appear before next week's committee hearing which obviously is being staged to be a contentious fight. On the one hand the House Oversight committee has demanded answers amid suggestions of wrongdoing by the NHTSA, GM and the Obama Administration. The NHTSA has not answered the committee's demands with Ali Ahmad, Issa's spokesperson, saying "NHTSA has stalled on responding to the committee's inquiry for six weeks and inexplicably refused to provide any documents. The committee expects full compliance with its request and will consider compulsory methods if NHTSA does not immediately change its position." "Dan has agreed to testify at the hearing, and he looks forward to doing it," GM spokesman Greg Martin said. Detroit finally is back out front and all the politicians want to do is undercut em at every opportunity, how about a bit of leadership, or has the GOP forgotten how? Yes, they have NO concept of leadership. They have pretty much stated publicly that their primary priority is to get themselves re-elected. Well, I'm here to tell you, this is one life long Republican who is fed up with the Republican House "leadership". I say, THROW THE BUMS OUT.Since when was it in the Speaker's job description to have a primary objective of assuring that the sitting President is not re-elected? That isn't why the Voters of Ohio sent John Boehner to Congress, and it is time we FIRED him. You guys make me embarrassed to be a Republican. This is so stupid. Please elect these idiots out. Are they doing the same for all the Ford trucks that caught fire or the Mini Coopers?